Popcorn and WBS are pretty much apples and oranges. Some folks seem to think popcorn is easier to prep. Others think WBS makes a better spawn. I don't think one is really better than the other. It just depends what works best for you. IMO WBS is better for G2G because of smaller size. Crumbled BRF cakes work great too for spawn. Four total flushes over 4 weeks in grow mode with 10 tubs came to be about 10 oz dry. The third and fourth flushes were mostly dependent on how the previous flushes did in that tub. For instance, if it was full canopy first and 2nd flush, I maybe only got 5-10 large size fruits for the 3rd and 4th. But it does stand to reason that if you use sterile substrate LIKE vermiculite and coir (none of which were PC'd, just poured boiling water over) you will likely have less problems with contamination in later flushes. I have had only one tub have to be thrown out, after flush three, but it's because I broke apart the sub when flipping it and over watered it I think. Live and learn. 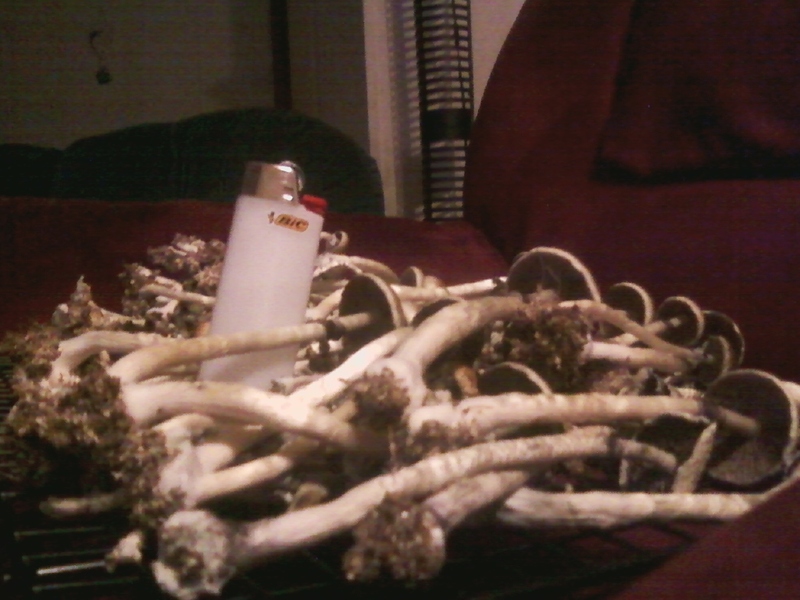 Also, with these subs, I wasn't so diligent on harvest time, and they made a mess with spores in the sub after 2nd flush. Easy fix: FLIP OVER THE SUB. I did it bare handed, only had one tub contam on me. I pick my nose and scratch my balls often, so take from that what you will. It lasted for 2 more flushes, after the flip, and new fruits sprung up almost immediately because the bottom was pinning. reminds me of that episode of Weeds, where Nancy was about to take Ayahuasca, but then the shaman says he "WAS TOLD HE MUST NOT GIVE IT TO HER", so then the mayor of tijuana says he will give it to her, and gives her the chalice. also, my good friend told me that when you take mescaline, you are ACTUALLY VISITING a god. and dependent on your trip, you were either a welcomed spirit or turned away by the god. i always take entheogens during pivotal moments in my life. to me, it's not a drug, it's communion. How much of the total substrate & how many jars of WBS did you put into a single dubtub? I actually had the same question...I have 3 full quarts of spawn (GT on popcorn) that I want to use in the next day or two. I already spawned two trays that are about a 1/3 the size of those sterilite shoeboxes with a half quart of spawn each (1:2 spawn to sub ratio. A bit low, but I'm fairly patient), and they seem to be doing fine, but I'm wondering how much spawn you used in your pictorial? I would have tried spawning both half quarts in one shoebox, but i didn't want to put all my eggs in one basket on my first attempt at a Rez-effect grow. Each tub received 1/2qt-3/4 qt spawn.... whatever seemed to cover the entire surface area pretty well after breaking up the grain from big chunks. Each tub had about 3 inches of total substrate depth. I poured about 1.5inches of substrate to cover the entire bottom of the tub. Finally I topped it off with another 1.5 inches of substrate. You see, I use a bucket to mix my coir and verm. I just simply scoop from the bucket until I see it's at about the desired level in the tub. You want to have more sub than spawn, definately. I think this mixture is roughly a 2:1 or 3:1 if you were to break it down all precise. But I just wing it. 3 inches depth is 3 inches depth. always about the same amount in each tub. failed_chemistry would it be possible to see one of your grows mate?just im interested in your method of spawing!i wanna see how it works out for you! I think I understand. I wasn't layering my mini-tubs in favor of mixing in the spawn. I can't remember why I did it that way instead... I also read mixed opinions on the sub:spawn ratio you want in a rez-effect tub. I got the impression that 2:1 might be spreading the spawn a bit thin, so I figured you had used more than I could see from your instructions....But I now see that's not the case! if you read, I intended to do as much as I could with the least amount of materials and effort. kind of my M.O. the minimal amount of spawn per tub was initially an experiment to see just what the bare minimum could be. Then it became, how much would colonize in how much time. I pretty much got it to about 5/8's qt spawn per tub, and as much substrate i could fit in it until I reached my airholes. Seeing that CO2 is heavy, I didn't want it to REACH to escape thru the air holes, I always fill to the holes level. you want a step by step pictoral of spawning? the pictures included in this thread are all originals, all Hillbilly strain grown on coir/verm with WBS as spawn... if you have requests of just what you'd like to see, in what angles, i can get you those as well. Correct me if I'm wrong (I'm noobie), but if you inoculate all jars with the same syringe, there is no need to spawn? Or do we first need to inoculate a single jar, and then transfer the mycelium to other jars? Bulk teks & spawning has always confused me a little bit, because I have never seen an absolute complete tek (besides this one it seems) to doing so. Inoculating WBS jars with a syringe will make that jar grow mycelium. When that jar is finished, and turns all white, you can break up the grain and pour it into new jars to spread the mycelium and make more jars. This is known as G2G (Grain to Grain). Grain to grain is what cuts down the time it takes for the jars to colonize. 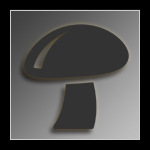 As you're no longer waiting for spores to colonize, the mycelium is already alive and growing. As for spawning. Spawning is the physical act of taking mycelium culture (your wbs jars) and mixing them into a substrate or casing. In THIS TEK, I spawned WBS to coco coir/verm. It's a variation of something called a Rez Effect (reservoir effect; neither a casing nor a bulk sub, but the best of both). The substrate encases the mycelium, and from that mushrooms grow. It's all very simple. I need to revise this with better pictures and stop clowning around. Cool. That is what I thought... just making sure I had it correct. This is the best (meaning most complete) tek I have ever found for a (semi-)bulk grow. Most people assume that whoever is reading already has plenty of experience, and will tend to skip over certain parts. In my case, I have been reading up for years on how to do everything from the simplest cake grows, to things like this. Now I feel in even more comfortable in my knowledge of such procedures. Thanks for taking the time to write up such a complete tek! Your a badass. PS- Only thing I would add into it is the ratio of spawn to substrate. It shouldn't be hard for anyone to be successful with it at that point. this was intentionally left out. you see, it's been my experience that if you do it right, there's no need to measure. just the physical act of mixing spawn into the substrate as I have shown here, in layers, produces a natural 2:1 or even 3:1 ratio. Not only that, at filling only 2/3rds full and then Grain to Grain, it's not completely a full qt of spawn now is it? Maybe it's only 7/8ths qt... but it doesn't matter, just eyeball it. Food for thought. I'd go as far to say that ANY container size, if you layer it like SUBSTRATE/SPAWN/SUBSTRATE, you will ultimately end up with about the same ratio. Which is why it's a ratio, not an exact measurement. Less brains, more balls. Do it. Formulate your own conclusions. Better the community. Too much spawn, it grows fast but doesn't flush as much because there's not enough water in the substrate. Be bold. Step away from your cakes. Why do people always let the caps open up on the posts here? Bigger is better? Isn't it best to pick after they are just pulling away? (unless your trying to get spores) It seems like that's just wearing out the cake..
Easy answer... laziness. Also, for aesthetic appeal, certain people prefer open caps. And printing. You're right though, pick em when they're young and the veil is just starting to pull apart. That's the best tasting anyways. thanks man :) it's a work in progress. in my experience, damp rid gets messy as hell. damp rid is good for damp places in your house. it's not feasible to use it as your *only* drying method. some people fan dry and then use dessicant. I use the dessicant packages, as they're silica and don't literally soak up the water, just dries it. Damp rid will literally store the water IN the rock salt, and it makes a pretty good mess if you're not careful when cleaning it out. To each his own. I suggest trying every method, and see what works best for you.